Equus Vita was founded in 2010. 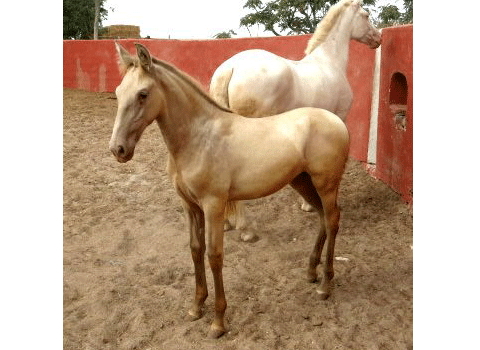 We breed the Pura Raza Española (PRE) horses. 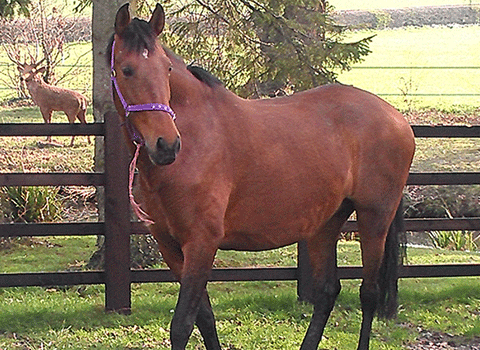 Our aim is to breed high quality horses with movement for both the professional and the astute amateur rider. We are also a home for the rare ‘pearl gene’ horse. Pearl is a coat dilution modifier. 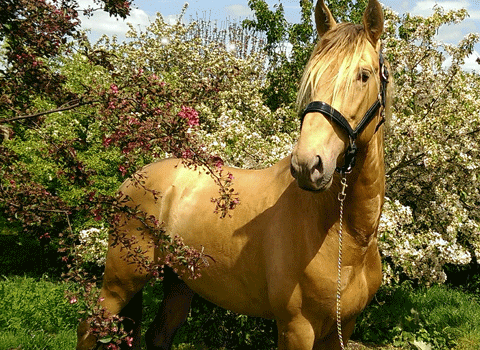 It is one of the most recent equine colour genes to be mapped for commercial genetic testing. ‘Pearl’ is generally considered to be one of the most rare of colour traits. The Pearl Gene is a recessive, cream-activated, dilution gene. Recessive means that one copy of the gene in a horse has no expression (it is "invisible"), and two copies (homozygosity) results in full expression. Cream-activated means that it also reacts with cream: it shows up, adding another instance of dilution if there is a cream gene present. In this case it manifests as a "double dilution”: pearl and cream. The visual coat colour changes caused by Pearl Dilution are based upon the foundation colour of the horse. For example, the phenotype of a double-pearl Bay, will vary from the phenotype of a double pearl Chestnut. Equus Vita has, over the years has performed at many equestrian events demostrating dedication and commitment to breeding first class horses. Pearl of Peace, the UK's first 'gold' Andalusian stallion has now passed his official breed grading and is now available at stud. There are currently no horses for sale. Please watch this space. 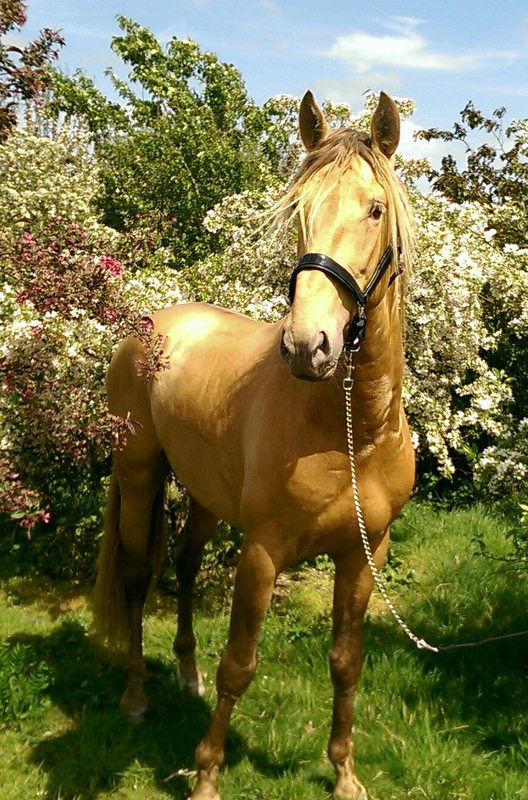 Equus Vita has many years experience with equestrian stabeling, transportation and care. Pearl of Peace passes official breed grading! Pearl of Peace is now available for stud duties! Bond and The Girl with the Golden Horse? Naomie Harris, Miss Moneypenny in the new Bond film as featured in the current Town and Country along with our Pearl of Peace 'Oro'.